Please have a look to the Heated Pools in Staffordshire swimmers like you have got reported. Is your pool not listed? Contact us to ADD IT. It's free! Swimia.com wants your feedback to ensure all the information is valid, since perhaps this pool is no longer open towards the public. Not all countries are the same, and swimming regulations and rules are changing from one country to an additional. Most of the Swimming Pools give both open lanes for independent swimming and also guided activities like water aerobics or aquabike. Water sports are growing specially in elderly population sectors who've suffered some style of muscle or bone damage. 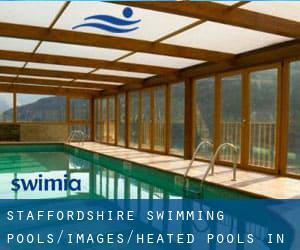 We presently have the following Heated Pools in Staffordshire, but we are generally grateful for any corrections or contributions. Get in touch through our get in touch with form. Without a shadow of a doubt, swimming in Newcastle-under-Lyme will be the greatest option to unwind after work. Take a couple of minutes to browse Swimia's catalog to find a Swimming Pool in Newcastle-under-Lyme. It's difficult to visit Staffordshire without dropping by Stafford (with 65.290 residents). 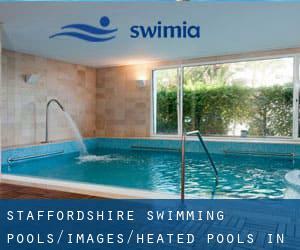 Presently Swimia is showing you all the Swimming Pool in Stafford along with the closest pools situated in its vicinity. Swimming is actually a superb concept to keep your body active for the duration of your visit to Burton-on-Trent (Staffordshire), or perhaps in case you are a local. Swimia helps you to find your closest Pool in Burton-on-Trent. Holding an estimated population of 29.766, Burntwood is one of the most important cities in Staffordshire. Check all the Swimming Pool in Burntwood and its surrounding area. Whereas Tamworth is among the six most populous cities in Staffordshire with nearly 74.129 residents, you shouldn't miss that one if you're going to Staffordshire. Let us tell you a secret to switch off whilst you are in Cannock: just choose a Pool in Cannock and plunge into the water! There's no alot more successful method. Updated on 2019 Brunswick Street , Knutton , Newcastle - under - Lyme , England , UNITED KINGDOM (Postal Code: ST5 1HG). Among all the activities offered by the center, for anyone who is considering swimming you'll enjoy 25 meters, 8 lanes, 1.1 meters - 2 meters depth, 1.1 meters - 2 meters depth, Non-Chlorine Sanitized, Indoors. If you have to get in touch with this Swimming Pool, email address and phone number are both number. Updated on 2019 Thames Drive , Biddulph , England , UNITED KINGDOM (Postal Code: ST8 7HL). Swimmers like you reported 25 meters, 6 lanes, Indoors. Unfortunately we do not have the email address of this Swimming Pool, but we can provide you with the phone number. Chase Vale off High Street , Chasetown , Burntwood , England , UNITED KINGDOM (Postal Code: WS7 3XH). Swimmers like you reported 25 meters, Indoors. Phone number and e-mail address are number for this Swimming Pool. Centrum 100 Retail Park , Wellington Road , Burton - upon - Trent , England , UNITED KINGDOM (Postal Code: DE14 2WG). This sports center offers 20 meters x 8 meters, Indoors. For this Pool, only phone number is number here. Fourth Avenue , Kidsgrove , England , UNITED KINGDOM (Postal Code: ST7 1DR). Among all the activities supplied by the center, if you are interested in swimming you can expect to appreciate 25 meters x 12.75 meters, 6 lanes, 0.9 meters - 3.4 meters depth, 0.9 meters - 3.4 meters depth, Indoors. If you might want to contact this Pool, email address and phone number are both number. Birds Bush Road , Belgrave , Tamworth , England , UNITED KINGDOM (Postal Code: B77 5NE). Swimmers like you reported 20 meters x 8 meters, 4 lanes, Indoors. Phone number and e-mail address are number for this Swimming Pool. Brough Park off Fowlchurch Road , Leek , England , UNITED KINGDOM (Postal Code: ST13 6AT). Among all the activities provided by the center, should you be thinking about swimming you are going to enjoy 25 meters x 9 meters, 4 lanes, 0.8 meters - 1.9 meters depth, 0.8 meters - 1.9 meters depth, Indoors. Just in case you need to get in touch with this Swimming Pool just before dropping by, we only know the phone number. Updated on 2019 Oulton Road , Stone , England , UNITED KINGDOM (Postal Code: ST15 8DR). This sports center offers 25 meters, 6 lanes, 1 meters - 3 meters depth, 1 meters - 3 meters depth, Indoors. Contact information for this Pool including phone number and email address are number. Royal Crescent , Cheadle Royal Business Park , Cheadle (Greater Manchester) , England , UNITED KINGDOM (Postal Code: SK8 3FL). Among all of the activities supplied by the center, if you're interested in swimming you can expect to enjoy 25 meters x 13 meters, Indoors. Just in case you want to contact this Pool before dropping by, we only know the phone number. Updated on 2019 Burnthill Lane , Rugeley , England , UNITED KINGDOM (Postal Code: WS15 2HZ). This sports center delivers 25 meters, 6 lanes, Indoors. Contact info for this Pool which include phone number and e-mail address are number. Updated on 2019 Leisure Island , River Drive , Tamworth , England , UNITED KINGDOM (Postal Code: B79 7ND). Swimmers like you reported 25 meters x 12.5 meters, 1 meters - 2 meters depth, 1 meters - 2 meters depth, Indoors. Unfortunately we do not have the e-mail address of this Pool, but we can give you the phone number. High Street , Burton - upon - Trent , England , UNITED KINGDOM (Postal Code: DE14 1TL). Swimmers like you reported 25 meters x 16 meters, 6 lanes, 0.9 meters - 1.6 meters depth, 0.9 meters - 1.6 meters depth, Indoors. Phone number and e-mail address are number for this Swimming Pool. Allen Street , Cheadle (Staffordshire) , England , UNITED KINGDOM (Postal Code: ST10 1HJ). Swimmers like you reported 33-1/3 meters x 10 meters, Indoors. Unfortunately we do not have the email address of this Swimming Pool, but we can give you the phone number. Birmingham Road ,South Wall Island , Shenstone , England , UNITED KINGDOM (Postal Code: WS14 0JS). This sports center offers 25 meters x 12 meters, Indoors. For this Swimming Pool, only phone number is number here.